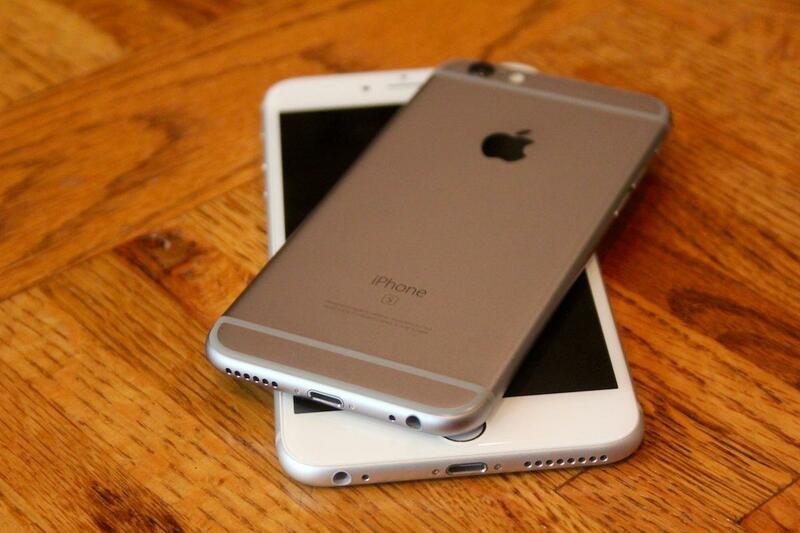 Apple has warned that that there may be an impact on your iPhone’s performance. They shouldn’t be severe, but in some cases, they may be noticeable. 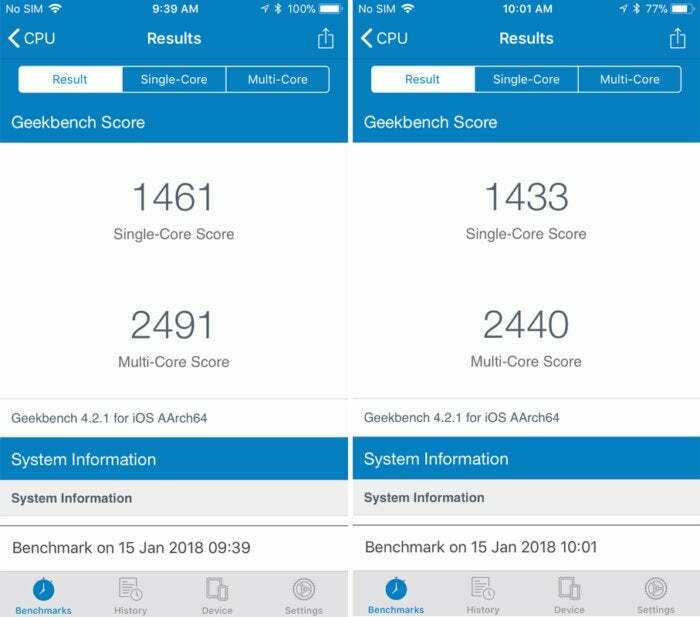 Security researcher Melvin Mughal created a bit of a stir recently after he posted iPhone 6 benchmarks (since removed) showing a hit as high as 40 percent, but those results shouldn’t be common. iPhone 6 bechmarks for iOS 11.2.1 (left) and iOS 11.2.2. The best way to fix PCs with lowdown issues is the best way to fix an iPhone too. Before you start fiddling with settings, simply turn off your iPhone by holding down the power button on the right side, slide the button to the right, and wait for it to turn off. Then start it up again. Low storage is the biggest culprit for iPhone slowdowns, so check your available space by heading to Settings > General > iPhone Storage. Inside you’ll find a breakdown of how much storage you’re using on your iPhone and which apps are using the most. Then, you can easily delete or offload the app (which removes it from your phone but keeps the data). If the sluggishness is related to Safari (and neither of the above options help), you can try resetting the browser cache. 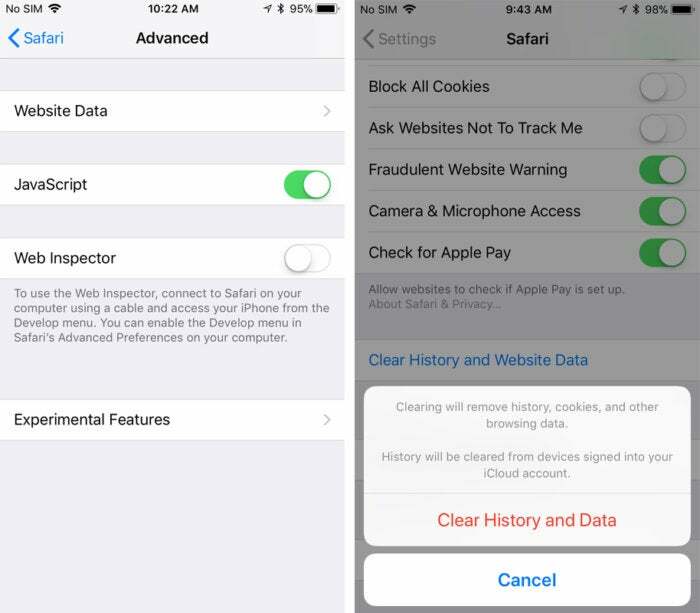 In the Settings app, scroll down to the Safari tab, and scroll down until you see the Clear History and Website Data button. Tap it and you’ll zap your history, cookies, and browsing data to start fresh. If you want to keep your history, Select Advanced at the bottom of the page, tap Website Data, and Remove All Website Data at the bottom of the page. If Safari is running slow after installing iOS 11.2.2., there are some ways to help speed it up. Apple has already admitted that it is throttling some older phones to compensate for declining battery life, so that could be the issue here. To swap out your aging battery for a new one and bring your performance back up to speed, head over to Apple’s support site and make an appointment. Benchmarks aren’t always accurate, and since the mitigations Apple is implementing for Spectre directly affect the way the chip and OS interact, it could throw benchmarks out of whack. So if your phone feels the same as it did before but Geekbench is telling you it’s way slower, don’t panic. Try some of the above fixes, keep your eye on things, but above all, keep calm and carry on.